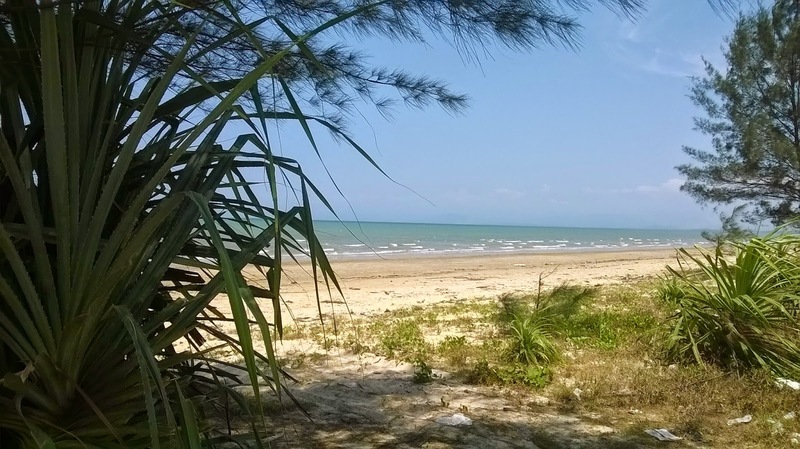 Labuan is a tiny island situated close to North Borneo (Sabah) and The Sultanate of Brunei. I will discuss about Labuan in my next post. There are three ways to reach Labuan from Jesselton (Kota Kinabalu). By air, sea and land. The fastest and easiest is by plane. The most uncomfortable is by sea. It takes 3 hours in a calm sea to reach Labuan. Riverboats are use to ferry the passengers using this route, and in an open sea, the trip is sickening. To me, the best is by land. The gateway to Labuan is Menumbok, a small town very close to the island. With a normal average speed of 70 km per hour, plus all the traffic jam along the way, we can reach Menumbok within 2.5 hours time. Here, we could enjoy passing whatever left of the environmental beauties that one day might disappear due to unregulated development. 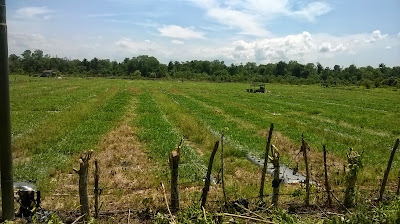 Presently, we still can see the varieties of secondary jungle, such as the Red Palms and also the wild Rattan Vines. The most relaxing journey is using the Membakut-Binsulok Highway. It is still an unknown route, and thus free from congestion. Most of the road runs parallel to the beautiful but dirty Kimanis Bay. But, still the beach is magnificent. Near the Binsulok village, lies a very appealing sight, the Binsulok River. 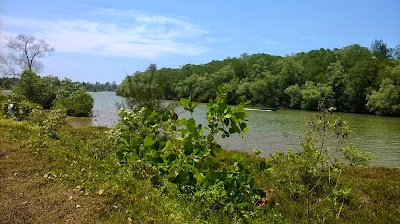 Like most rivers in Borneo, it is covered with mangrove forest. Mangrove forest are usually home to the famous ONLY found in Borneo primate, the Proboscis Monkey. 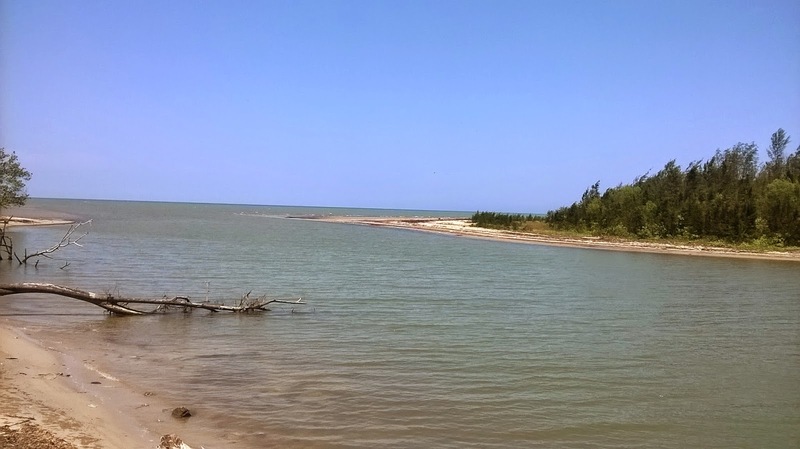 Casuarina (tropical pine) trees and Pandanus (Screw Pine) dominated the flora of the Kimanis Bay. Sometime I wonder why would someone named it a Screw Pine! As I said before, the beach is white and fluffy but dirty because of men's littering. 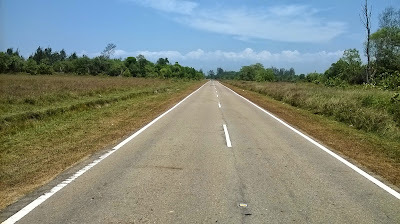 The above picture is the lonely road of the Membakut-Binsulok Highway. I am tempted to lie on the road and estimate the arrival of the next vehicle! By looking at it, its so relaxing. The picture above is the Binsulok River, while the bottom one is its mouth, exposing itself to the vastness of the South China Sea. The mysterious Pulau Tiga (Third Island) is not far away. 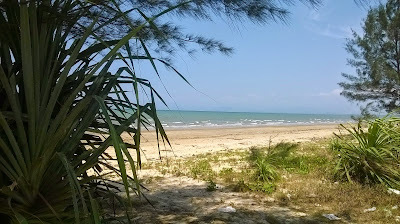 Pulau Tiga became famous because of the documentary series, Survivor. 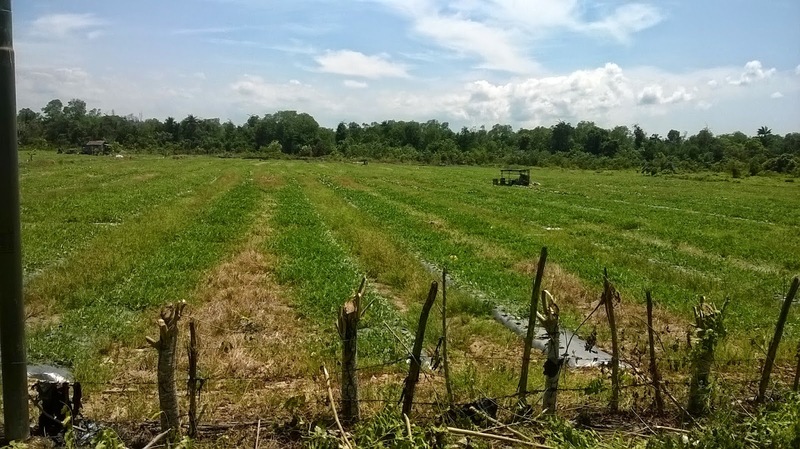 Below is one of the Water Melon Farm grown in between the secondary forest. Hopefully the authority will limit the agricultural development so that the natural habitat of Binsulok will not be lost forever.